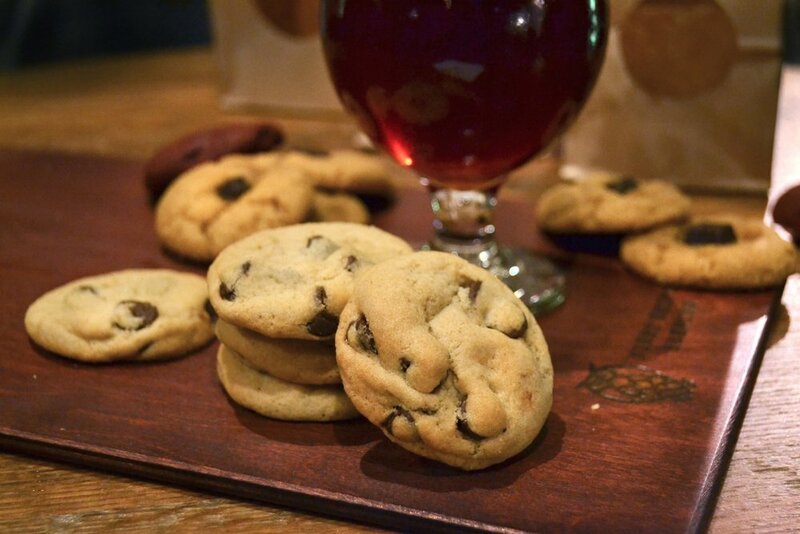 Pair our two-bite cookies with a flight of your favorite beers or a glass of wine. With this pairing, we're offering our fresh-from-the-oven, two-bite cookies with the beer or wine of your choice, with custom pairing cards for your guests. Perfect for pop-ups at local breweries, wineries, and bars.